There are lots of other semi permanent makeup technicians I admire. I spend hours on instagram poring over their work and practicing my technique and style and as a result I can definitely see an improvement in my work. I see my role as a semi permanent makeup technician as ‘work in progress’ and always will because I think there’s ALWAYS room for improvement – even for the very best of us. The desire and will to push yourself and try and improve, even when you are at the very top of your game is what separates the elite in the industry from everyone else. It’s important to practice, practice and practice some more. There’s no such thing as practicing too much! That said, you really cannot confuse practice (acquired skill) with flair. Flair, natural ability or talent is not something you can acquire. You can learn a new skill, you can work at it as hard as you can, but if you do not have talent, flair or some measure of natural ability (whatever you want to call it) there will be a limit to how far you can take yourself. I’d like to think I have talent. When I first learned to carry out semi permanent makeup I picked up the handpiece and felt i’d ‘come home’ – I knew that first day that i’d found what I wanted to do for the rest of my life, and indeed I still think that way. 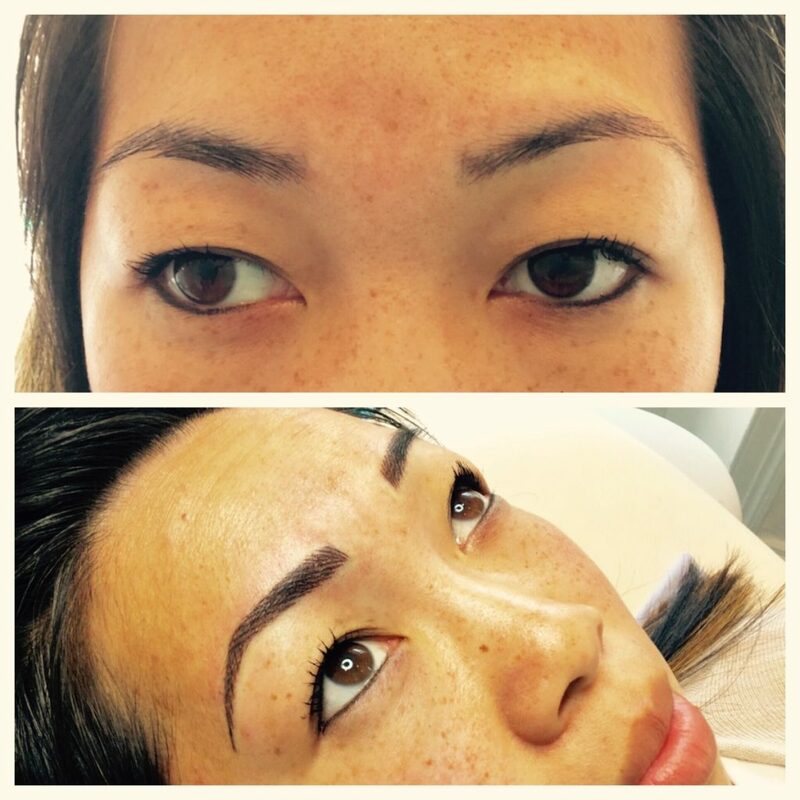 I can honestly say that I am excited to treat every single new client I come across and relish the complexities of each new case – whether it be a client with alopecia who wants me to recreate their lost natural brows, a client with severe asymmetry or someone just looking for their own ‘wow’ brows. Semi permanent makeup is my passion and I think every treatment I do should be better than the last. I will never stop pushing and learning. I owe it to my clients to keep the pressure on myself and take this responsibility very seriously! I feel uneasy about criticising other technicians but I do see work being carried out by people who clearly have neither acquired or natural skill in semi permanent makeup – and very often end up with their clients coming to my clinic begging to have their work lasered off so we can start again! These technicians commonly advertise through Groupon or Wowcher, offering their treatments at ridiculously cheap prices just to drum up some trade. I have seen some extremely poor, negligent even disfiguring work – uneven black block brows that could never be mistaken for ‘natural’ in a million years. Whilst I feel very sorry for those clients who have fallen prey to these technicians I do think that they also failed in their duty – the duty to themselves. It is the client’s responsibility to reassure themselves that the technician they select can meet their expectations for treatment. Pick a technician who you KNOW will be able to deliver the goods. And please, please pick someone with passion, skill and flair for the job, because you may pay a few quid more, but you will never, ever be disappointed!